Read our approach to compare different RPA vendors and identify the right one for your business. [Separate article] I would recommend reading that if you are already trying to decide between one or two vendors. As expected, the most powerful interfaces for programming bots is coding the program with a programming language. Need to explicitly code the tool to perform the necessary actions to replicate a process or functionality. However, coding requires training and patience so this method is relevant for technically inclined personnel. Programming instructions essentially tell the bot which programs to use and how to interact with those programs. non-Windows environments: Most RPA vendors do not offer solutions for non-Windows operating systems such as Mac OS or Linux. This is not a major problem most of the time because a majority of human dependent company processes are conducted on Windows machines. Reliance on programming effort: From a purely theoretical perspective, any process can be fully automated. However, as process complexity increases, programming time and cost make automation financially infeasible. Edge cases: These are problematic for all automation solutions. When bots encounter cases that programmers had not anticipated, results can be unexpected. This requires auditing bots during first roll-out to ensure that such cases are encountered and fixed. However, not all edge cases can be identified during the first week of operations. For example changing market conditions can generate new cases months after bots are rolled out. This requires building a warning system and carrying out regular audits in light of changing market, regulatory or technology conditions. Most modern RPA vendors offer solutions to program simple RPA bots with drag&drop interfaces. Technically proficient personnel (those that can code excel macros) should be capable of setting up simple bots. 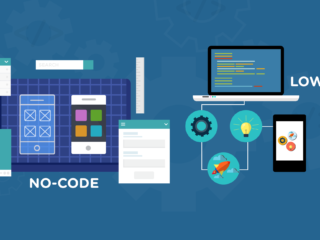 For more technical users, these tools also offer code based bot programming interfaces. As these tools also rely on coding for more complex bots, they share most of the limitations of tools that require coding. Just like macros in excel, bots can complete recorded actions. Recording a complex set actions and having them automatically translated into a bot program facilitates programming. Most vendors offer such macro recorders. Recorded actions can involve numerous enterprise software such as taking data from Salesforce, merging it with a report from mailchimp in excel to identify which customers to target during the company’s routine customer activation SMS campaign. Some vendors are also developing no code RPA solutions. These solutions provide a powerful GUI and recorder function to enable programming even relatively complex bots without coding. These bots watch recorded employee activity to learn automatable tasks. They are the easiest to deploy bots but they are currently a relatively emerging field of RPA. Programmable RPA solutions interact with other systems but programming them is a significant undertaking and is the primary job to be automated to enable faster RPA roll-out. Self-learning solutions program themselves. 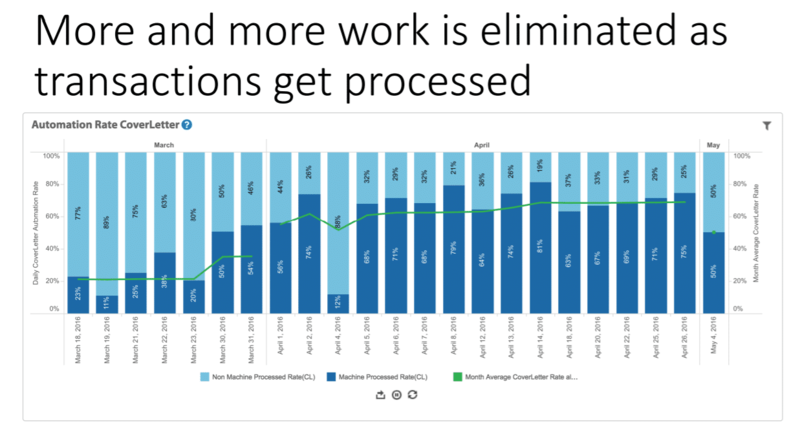 Using historical (when available) and current data, these tools can monitor hours of employee activity to understand the tasks completed and to start completing them after they have reached enough confidence to complete the process. Most of these tools are in beta stage. For example, UiPath includes them in their 2018 roadmap. During our podcast with WorkFusion leadership, they mentioned that they had been using such solutions for years but we have not yet spoken to one of their customers on the effectiveness of these solutions. 1- Time requirement: As we all know, learning takes time and machines are no different in this situation. You may have heard about how DeepMind’s AlphaZero learnt chess in 4 hours and defeated the best chess playing computer program. So why does learning in RPA take longer? 2- Lack of maturity of the solution: This is more of an area of research now. There are a few vendors that claim this capability but we have not been able to verify their effectiveness from their customers yet. 3- Learning errors: Learning from screenshots is not always perfect since learning relies on identifying images in scraped screenshots. Especially during initial deployment, these bots could be making mistakes and their activity needs to be audited. Most of the time mistakes are avoided as bots understand when they see cases they don’t know how to complete. In such cases, they contact employees for guidance. Intelligent/cognitive automation tools allow RPA tools to handle unstructured information and make decisions based on complex, unstructured input. Cognitive automation (also called smart or intelligent automation) is an emerging field that augments RPA tools with artificial intelligence (AI) capabilities like optical character recognition (OCR) or natural language processing (NLP). Cognitive automation is the future of RPA. It deals with both structured and unstructured data including text heavy reports. These are the solutions that get consultants and executives most excited. Vendors claim that 70-80% of corporate knowledge tasks can be automated with increased cognitive capabilities. To deal with unstructured data, cognitive bots need to be capable of machine learning and natural language processing. See our cognitive automation guide for more info. 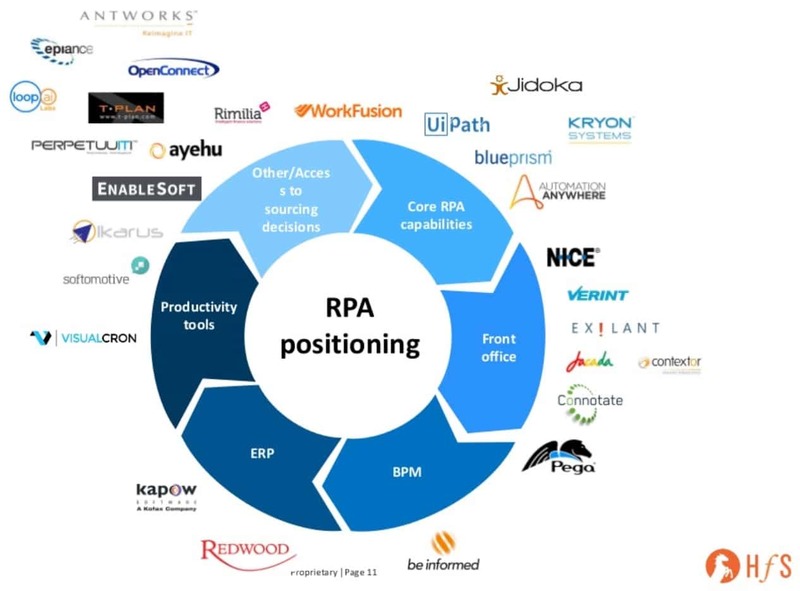 Cognitive automation is the current focus for most RPA companies’ product teams. RPA tools without cognitive capabilities are relatively dumb and simple; should be used for simple, repetitive business processes. While this seems like a big disadvantage, there is a mitigation. Even if the RPA tool does not have built-in cognitive automation capabilities, most tools are flexible enough to allow cognitive software vendors to build extensions. Therefore, required cognitive functionality can be added on these tools. However, it is likely to take longer to implement these solutions as your company would need to find a capable cognitive solution provider on top of the RPA provider. Only the simplest tools, initially built in 2000s before the explosion of interest in RPA are in this bucket. Most RPA tools are in this bucket. Most RPA companies have been investing in various ways to build cognitive capabilities but cognitive capabilities of different tools vary of course. The ideal way would be to test the RPA tool to be procured against the cognitive capabilities required by the process you will automate in your company. 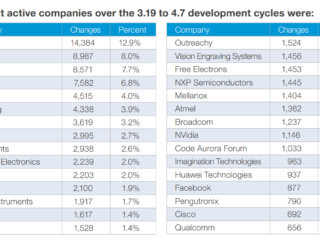 Realising that they can not build every cognitive solution, top RPA companies are investing in encouraging developers to contribute to their marketplaces where a variety of cognitive solutions from different vendors can be purchased. These bots reside on the user’s machine and are invoked by the user. They are appropriate for tasks that are triggered at programmatically hard-to-detect points. For example, a customer service rep will understand the customer’s inquiry and need to complete a transaction in the system. Let’s assume that due to system limitations, customer service rep would normally need to work with 3 screens and complete 5 manual steps to complete this transaction. Instead of doing those, rep launches the attended automation code. RPA bot works like the rep, performs the necessary operations and asks for guidance from the rep if needed. RPA bot can actually work a lot better than the rep, perform regulatory and compliance checks and would never do manual mistakes due to fatigue or boredom. Attended automation is a good way to augment your employees that face customers but still need to complete manual work. Read our in-depth article on attended automation for more info. Unattended bots are like batch processes on the cloud. They complete a data processing task in the background. They are ideal for reducing work of back-office employees. Attended and unattended RPA bots are combined to provide automation for both front office and back office activities, allowing end-to-end automation of a process. the hyperlink to “the most comprehensive public list of RPA solution providers” is not available.Please check. Fixed, thank you very much for the heads up! We upgraded our main website and some URLs needed to be changed. We forgot to fix some of the old links from the blog. AA pricing is per process. They don’t have bots, they have running processes. Thank you for the heads up! Where did you learn their pricing? Are you using AA in your organization? Extremely informative. I lead a team of recruiters hiring across various RPA segments and this article will help them having a well-rounded understanding in the subject. Nice post! It is interesting to read and really useful. Thanks for sharing. Hi Kenn, thank you for the useful information. Could you clarify 2 points? – What is the link for downloading the free trial? – Can you explain pricing a bit more? Is it priced per user license? If yes, would be good if you could share the price. Great article, really useful information. One issue: I’m viewing this on Chrome, so maybe it’s a browser specific problem, but the “Complete list of RPA tools” is rather unwieldy to view. It isn’t completely viewable due to your right side banner taking up ~30% of the page. Is there a way to shrink that? Can you set the “Complete list of RPA tools” headline to a link where ONLY this list is shown? Or maybe set the slider to show no matter where you are on the list, not just at the bottom? Hi Edward, thank you for your attention and interest! We are aware of the problem, unfortunately it is too complicated to fix this in the blog. We are working on a greatly improved UI on our main website, AIMultiple.com, which will go live in April. Your web site is so beautiful.